Many of us take too few real breaks from our work and our day to day lives. And when we do, they invariably seem too short. • Plan your vacation ahead of time. Even if you aren’t the primary planner, engage in the process. Plan or help plan the trip. This extends the process, and the experience on the front end. • Schedule activities, such as sightseeing and restaurant reservations, to reduce the amount of actual vacation time you spend planning – and spend more time experiencing your holiday. Leave some time open, though, for spontaneity – that is part of the fun, too. • Turn off your cell phone, except when you need to use it. Tell your clients you are unavailable during this time. • Don’t check emails – everything will still be there when you get back to your daily routine. • Get up and get out. Sleeping in is one of the great luxuries a vacation affords. But don’t do it every day – you can lose a lot of time, and a lot of enjoyment this way. Do keep up your exercise, even on vacation. • Make TV wait. Don’t waste precious time on things you can do at home. Your favorite show can be streamed when your holiday is over. • Engage with the community around you. Talk with the locals – shoppers and shopkeepers, tour guides. Learning is fun as well as enlarging to the mind. • Photograph what you see – and share your photos once you return, not while you are still away. This will extend the length of your vacation experience on the back end. 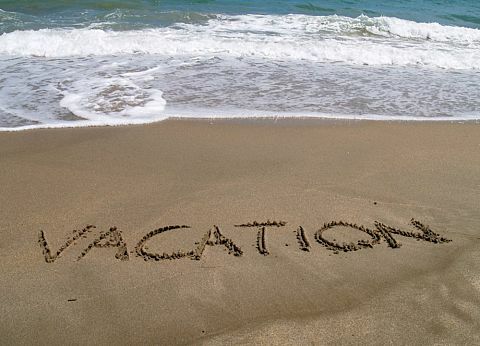 As I anticipate – and plan – a week away from it all, I thought I would share these tips, in the hope they help you make the most of your summer vacation, too. In matters of healing the body or the mind, vacation is a true genius! What suggestions to you have for getting the most and best from a vacation? Click here to respond directly to me. • The best way to get over end-of-vacation blues is to start planning your next vacation as soon as you’ve returned!